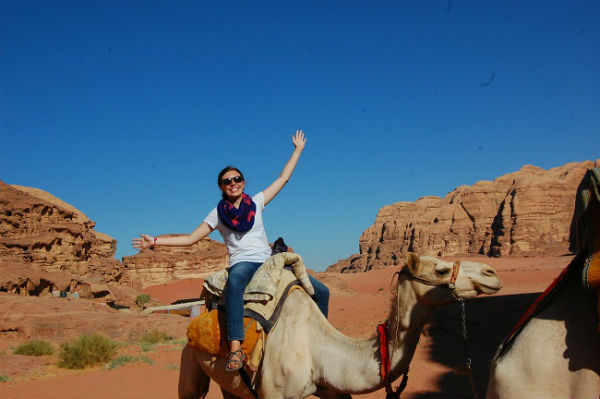 Kayla Morton studied abroad in Amman, Jordan while attending Duke University. Do you know an IB graduate making a positive impact on the world around them? Send your story to alumni.relations@ibo.org. Contributed by Suncoast High School. There is no denying that language can bring down barriers. Speak to someone in his or her native tongue, if only to say, “Bonjour!” or “Hola!”, and there is an instant camaraderie. Kayla Morton, 2013 IB graduate from Suncoast High School in Riviera Beach, Florida, has taken this love of language to new and interesting lengths. 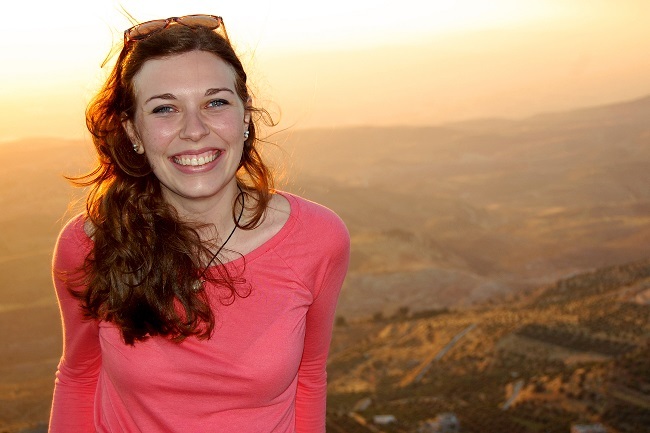 Having studied French as her Language B in high school, she chose to take Arabic at Duke University where she is a junior, and to spend her summer in Amman, Jordan. Kayla volunteered at the Royal Botanical Gardens (RBG), a fledgling NGO whose mission is “to conserve the flora and biodiversity of Jordan by propagating and displaying native plants, rehabilitating habitats at the whole-systems level, conducting research, demonstrating sustainable practices, and sharing information.” To this end, Kayla spent her days entering plant locality data to be used for the Jordan Red List, a publication that assesses the risk of extinction for each plant species in Jordan. “Even though my day-to-day work felt a lot like rote data entry, I could see that the long term impacts of this publication would help Jordan’s conservation efforts for years to come,” Kayla observed. In addition to her work schedule, Kayla was able to put into practice her 3rd language of Arabic by staying with a local family and seeing many of the historic sites of Jordan. Her language skills were particularly tested by a brief visit to rural Jordan, where among other activities, she attended a wedding and visited a 1500-year-old church. The more Kayla’s language skills progressed, the better she was able to communicate with people such as Syrian refugees and former Palestinians, giving her a broader perspective of the Middle East as well. Kayla plans to continue her studies in Environmental Public Policy/Political Science, with a particular interest in international environmental policies, towards the goal of greater international marine conservation: again, building on her IB foundation of international mindedness as well as action and service.